Ever since I subscribe to Apple music I don't buy albums anymore. I like discovering new songs from Apple Music for you suggestion tab. So many songs to discover and so little time to listen to them all. 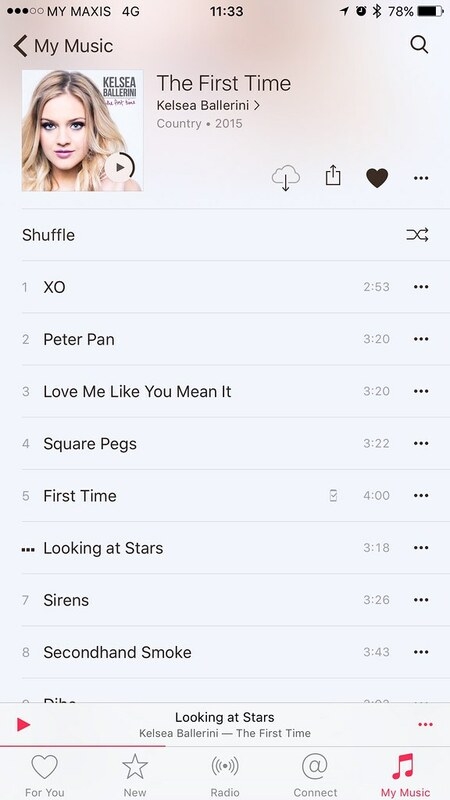 Last week I discovered Kelsea Ballerini / The First time album. I just can't stop listening to the album. I even put a hold on listening to audible "Because she loves me" just because I am hooked with her beautiful voice and songs. She reminded me a lot of Carrie Underwood.